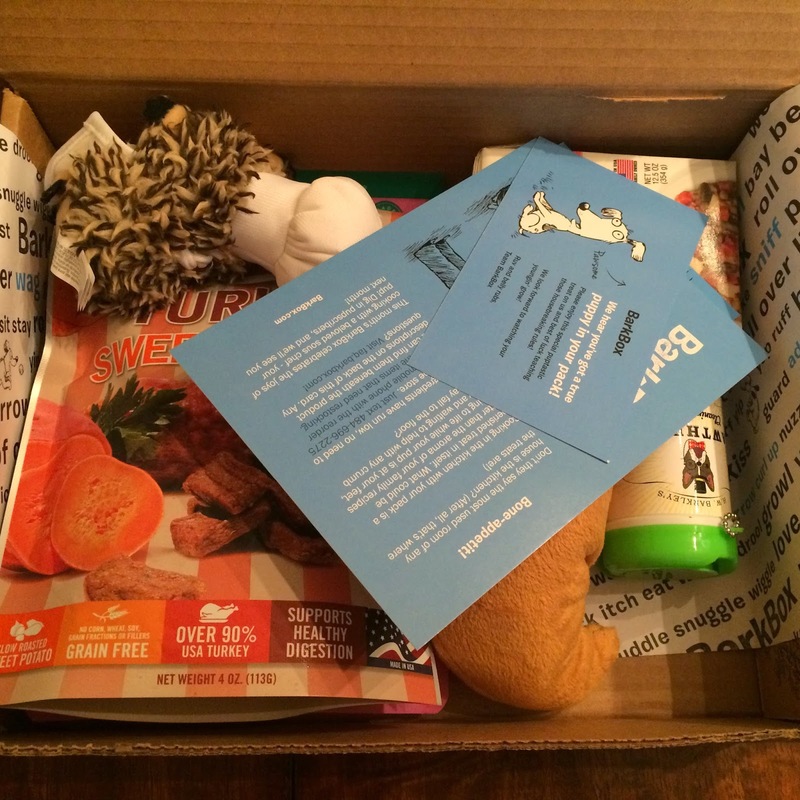 Our Barkbox November 2014 box arrived last week. 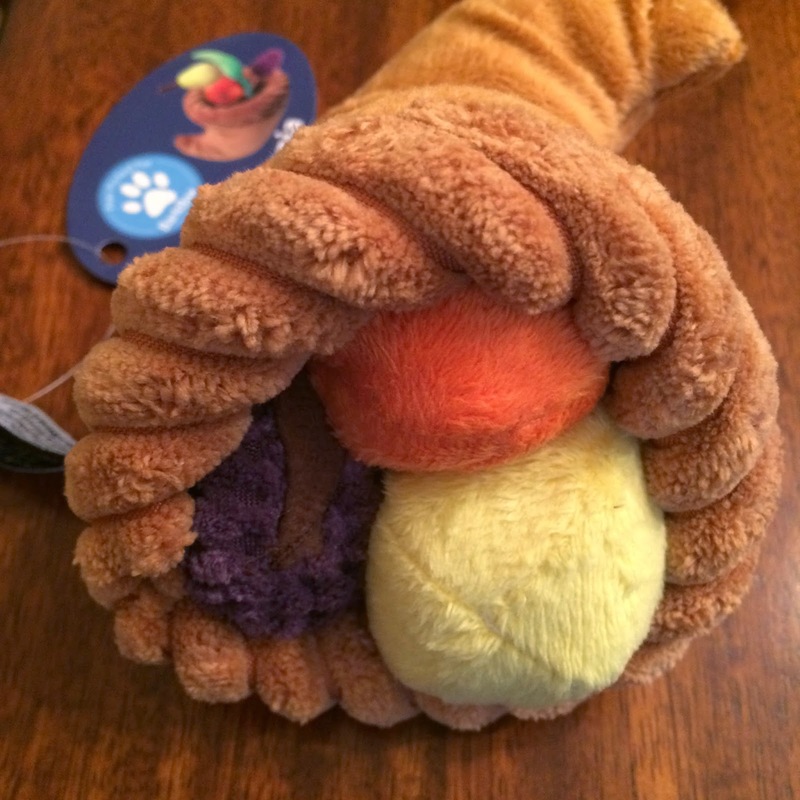 I am so in love with this Thanksgiving themed box for my puppy. He is quite fond of it too. 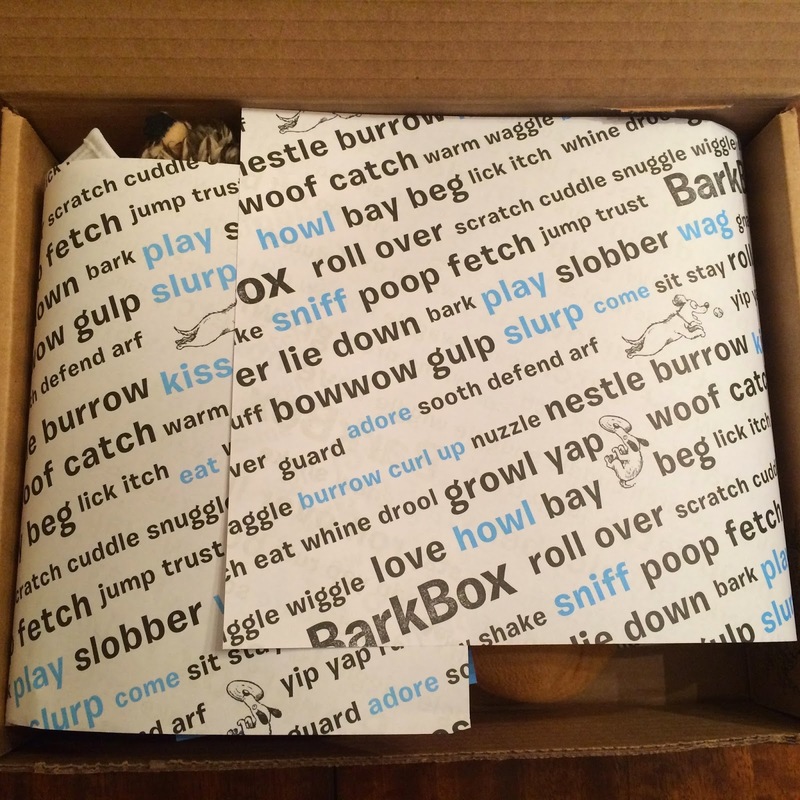 Barkbox is always quite full with treats and toys. It's so much fun to open up and see what's inside. Here's a first look at the box. 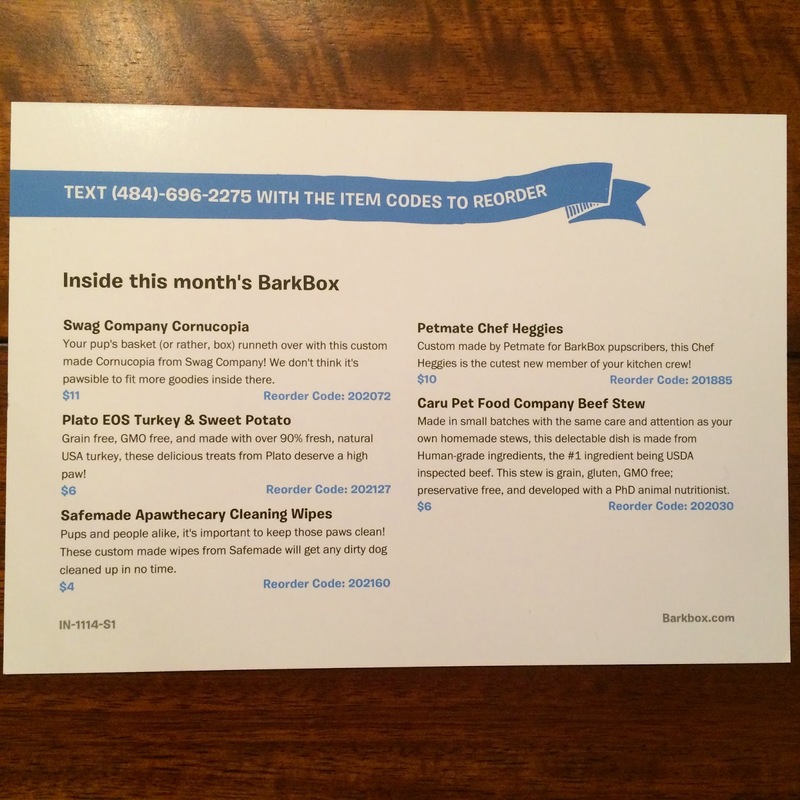 Barkbox includes cards each month detailing what is included in the box. The first item that caught my eye in the box was Swag Company Cornucopia. 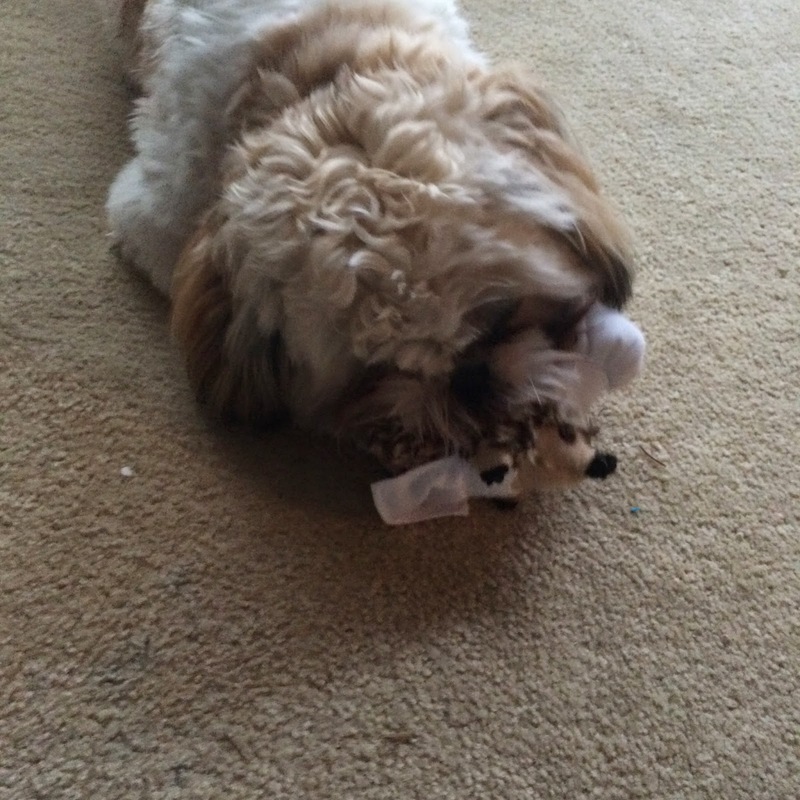 This is the cutest dog toy ever. It is a cornucopia filled with toys. My 2 year old daughter also loved this and tried to keep it for herself. But the puppy is keeping this for himself. He loves it! He chases the little fruits and veggies all over the room. 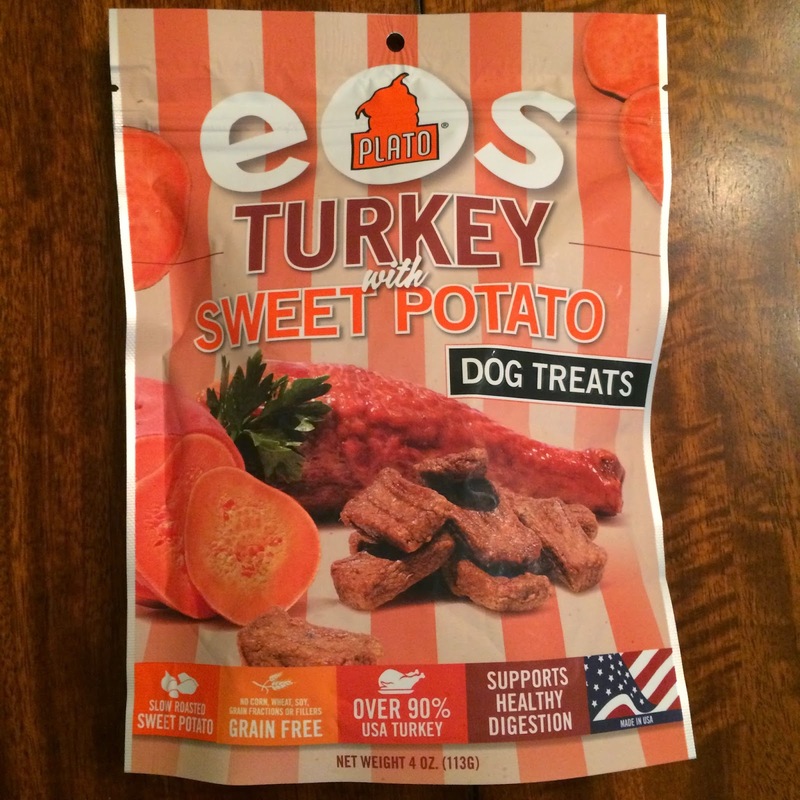 The next item included was Plato EOS Turkey & Sweet Potato treats. I think our dog is going to love these, but he hasn't tried any yet. We have too many treats open at the moment, so we're trying to use some up before we open another kind. I am excited for the Safemade Apawthecary Cleaning Wipes. 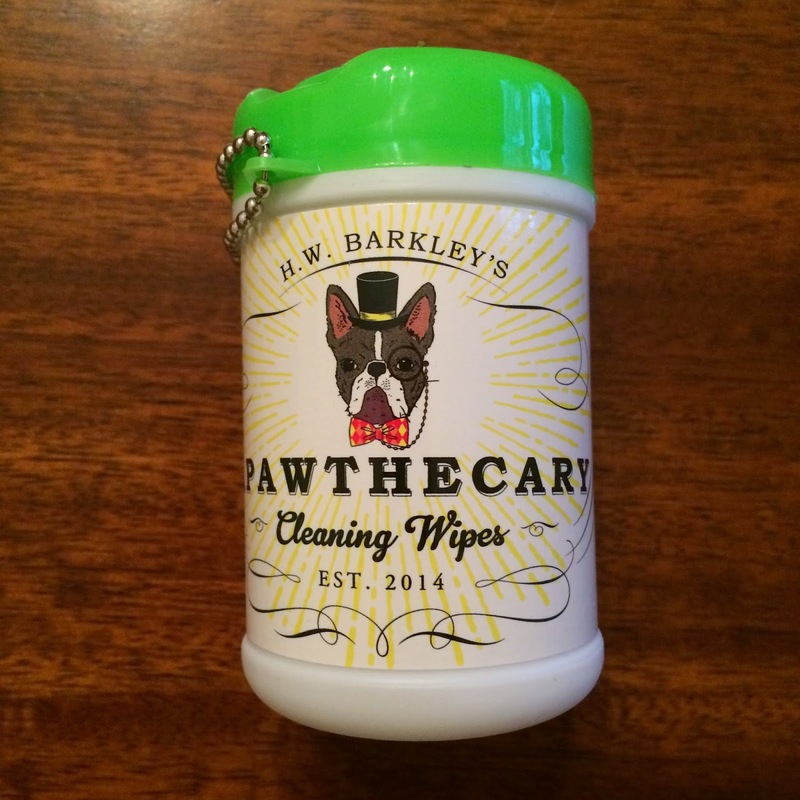 These wipes will be great for wiping his paws off before he comes in from outside. He always manages to get dirty, so these will be great to try. We also received Petmate Chef Heggies. 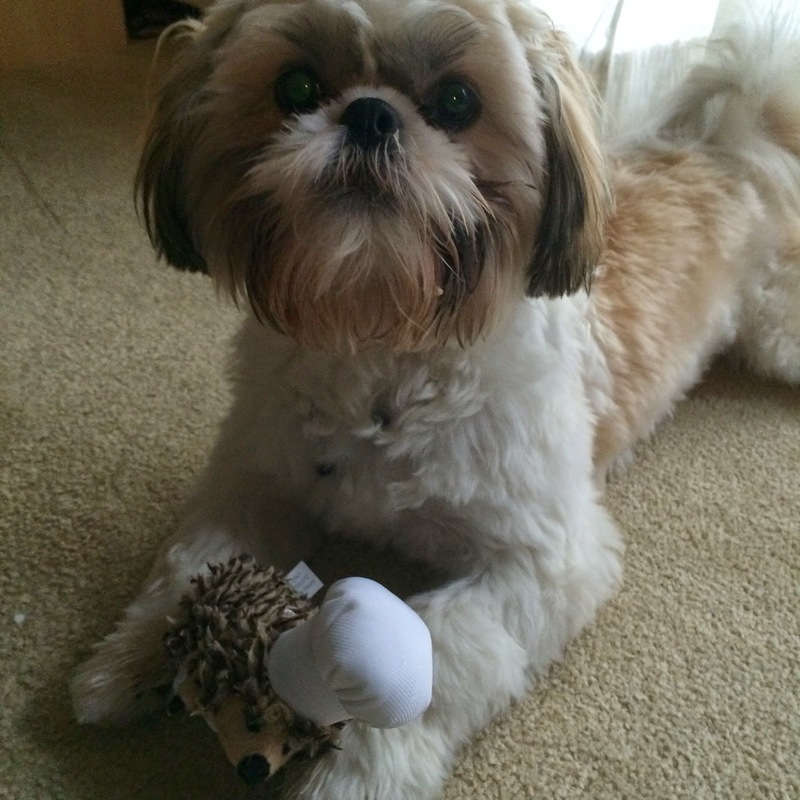 I also love this dog toy! 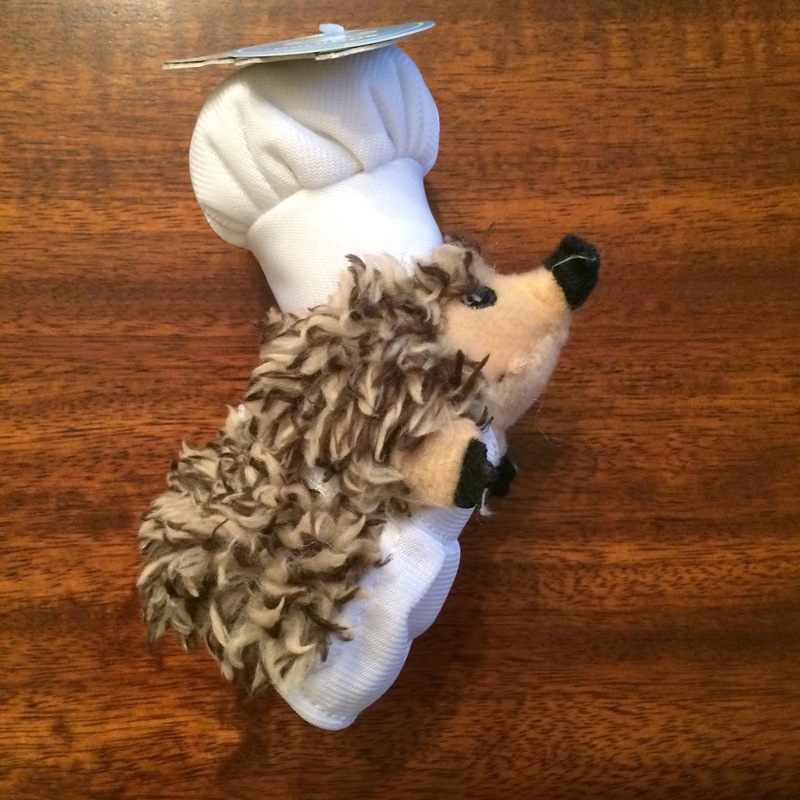 It's an adorable hedgehog dressed as a chef. 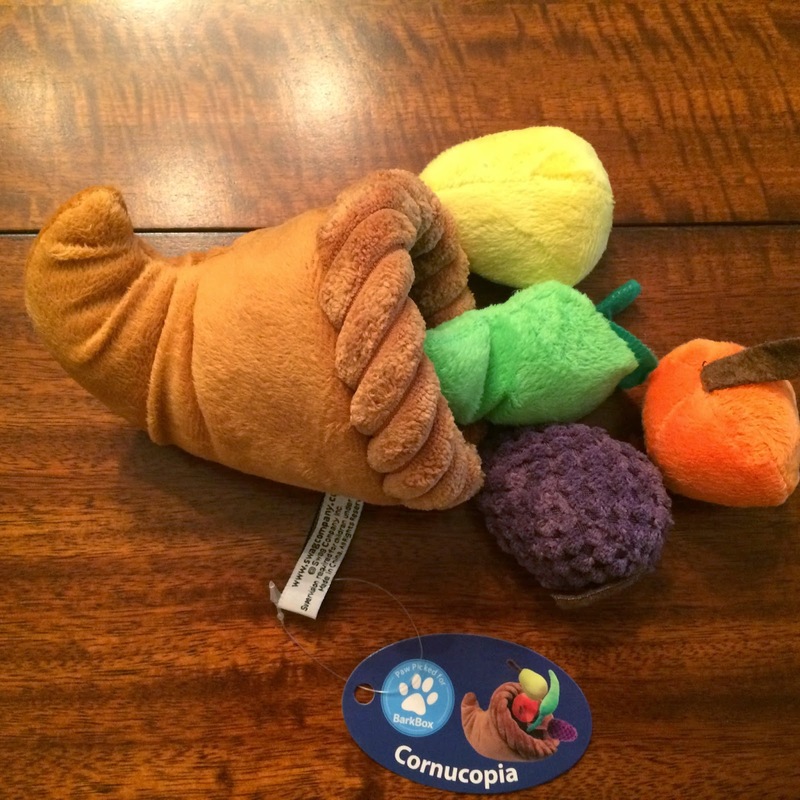 Our puppy loved this toy immediately and has been playing with it since his box arrived, along with his cornucopia. 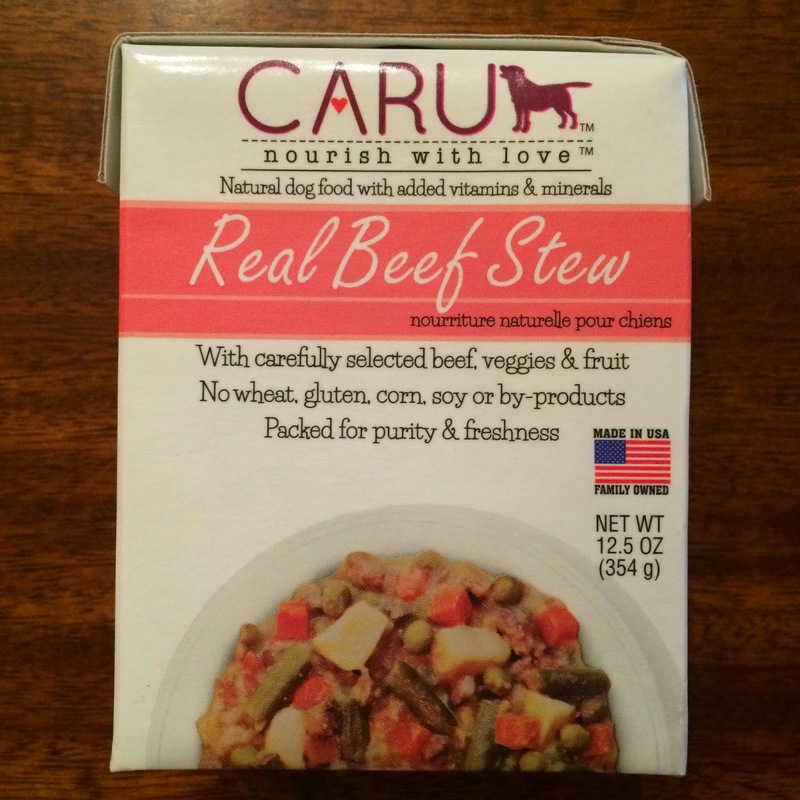 He has never tried anything like Caru Pet Food Company Beef Stew and I think he'll love it! We're saving it for Thanksgiving, so he can have a special meal along with us. It's made with human grade ingredients, so it should be yummy! The final item we received was a special extra. 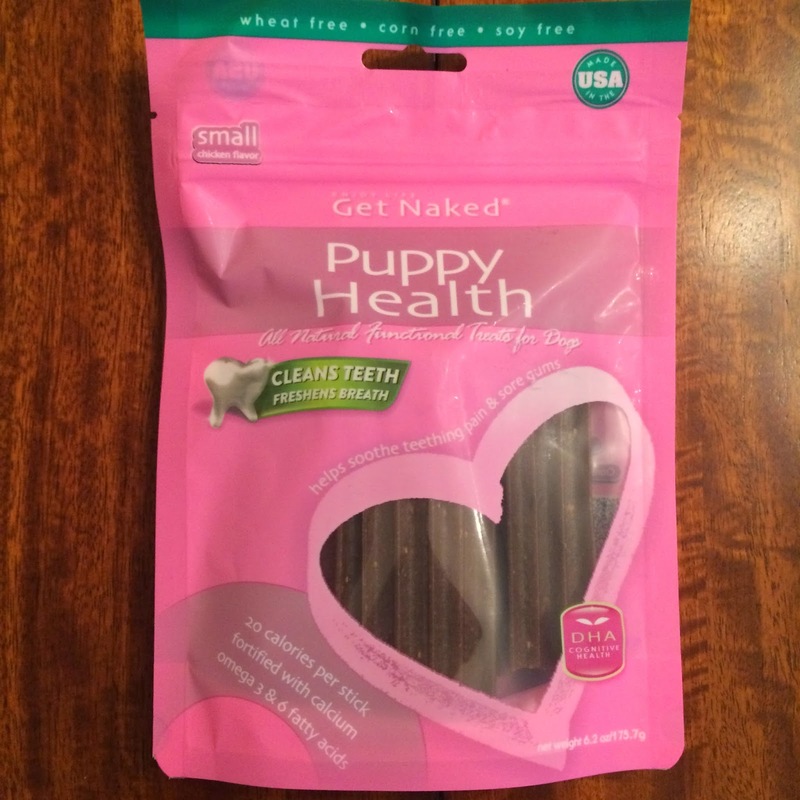 It's N-Bone Puppy Dental Sticks. He's not really a fan of these, but he keeps trying them sporadically, so hopefully he'll eventually like them. I wish he would chew the items that are good for his teeth and would freshen his breath, but for some reason, he wants nothing to do with them. 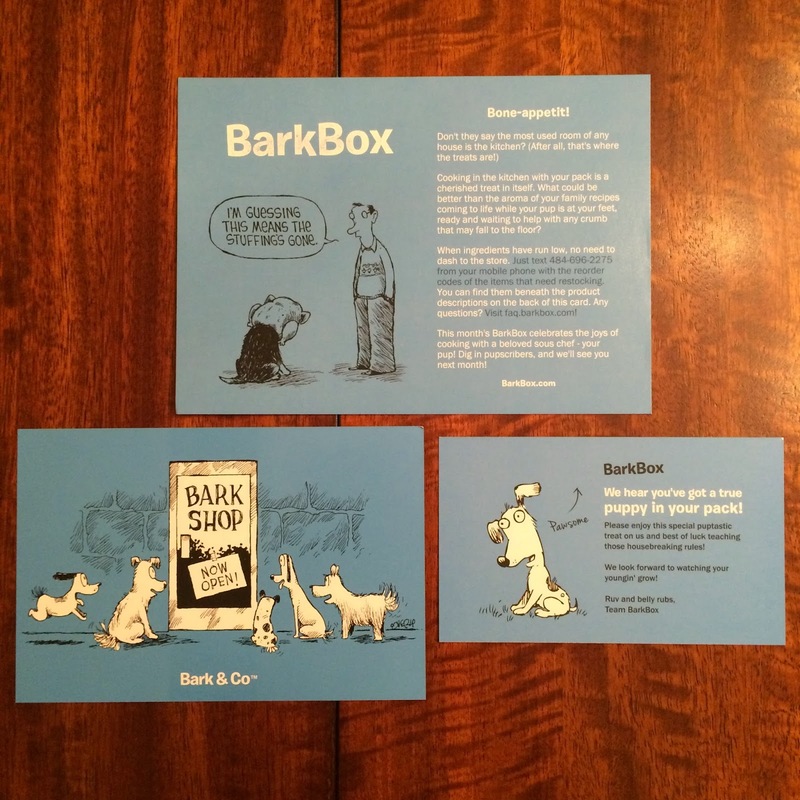 We've only been getting Barkbox for 2 months now and I'm very impressed. Our puppy has loved everything and the quality is great! This box really packs a lot in it too, so I feel like it's definitely worth the cost. I'm so excited to see what they do for December!